I’ve just got back from the Sayonara e-bike event at 50 Cycles in the Midlands where there were e-bikes, food and drink on tap. 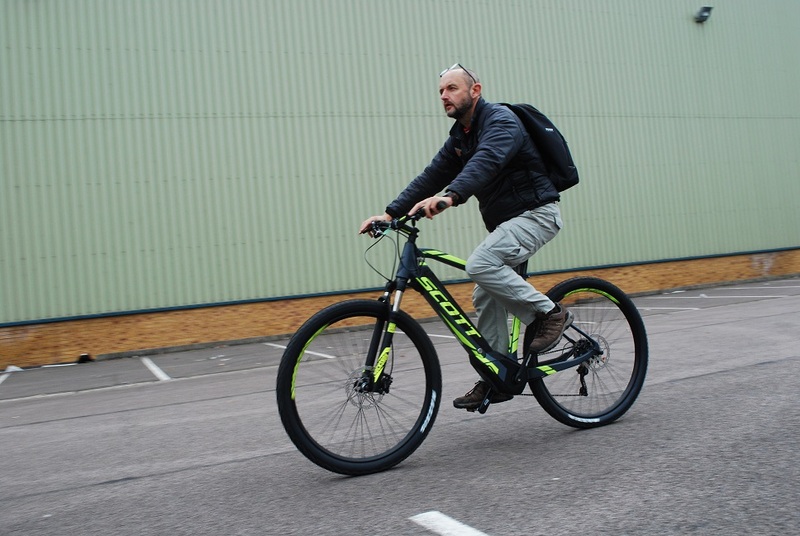 I was delighted it gave me the chance to try out some electric bikes I haven’t had the chance to get on before. 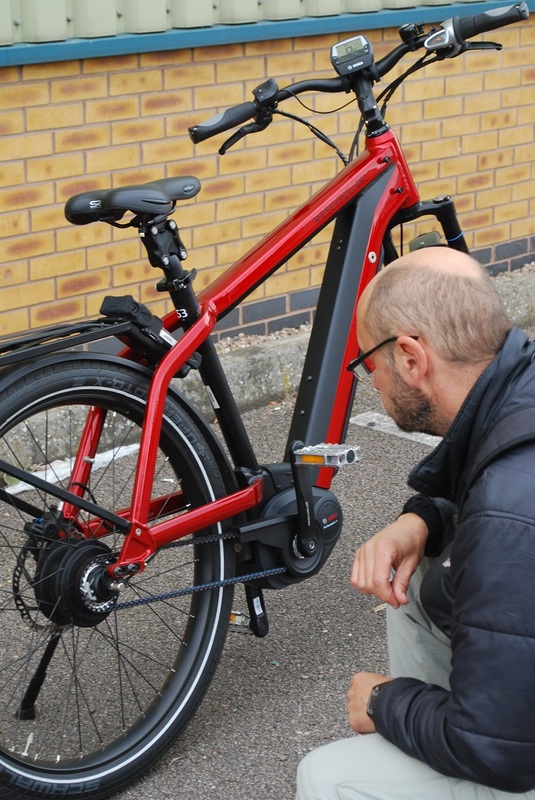 Winora e-bikes are extremely well-known and popular in Germany but less so in the UK so it’s rare to see one close up. 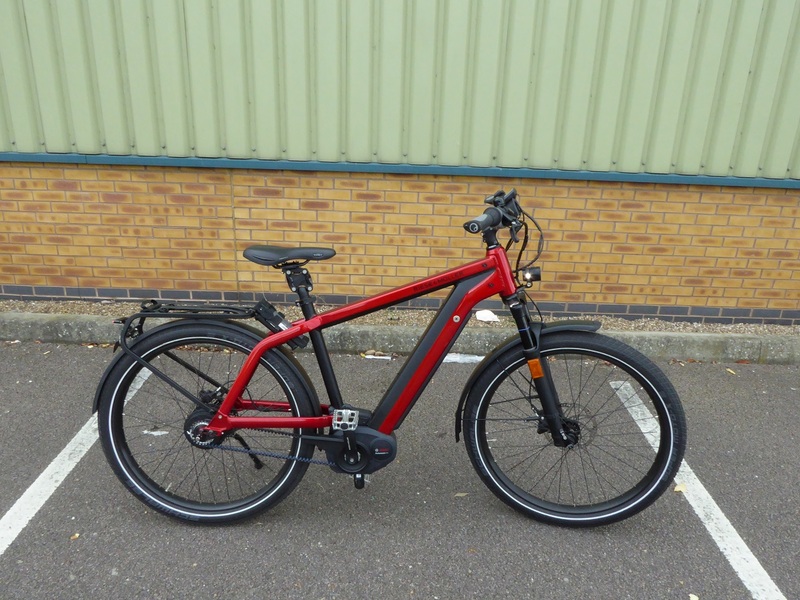 This Yakun Tour model has some great features that make it ideal as a touring e-bike. For a start the latest light and powerful Yamaha PW-X crank drive motor is unusual in that is allows for a double chainring and with ten rear derailleur gears that means this bike has 20 gears, allowing the motor to work more at it’s most efficient over a wider range of speeds and terrains. Other touring features include a frame-integrated touring hitch and LED lights including very powerful Lupine front lighting. 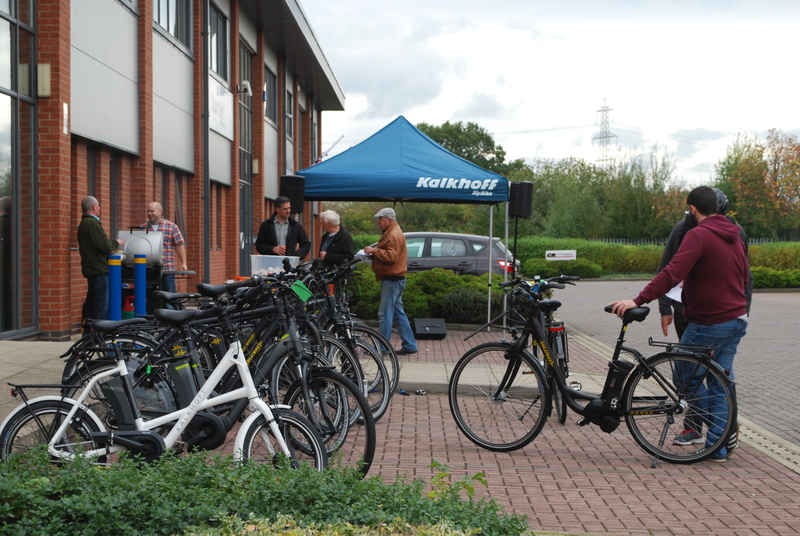 There was a large range of extremely well-made and varied electric bikes to try out from this German maker of premium e-bikes. I chose a model that uses the interesting Nuvinci ‘stepless’ hub gearing. As the description suggests, you can change the gearing on a ‘sliding scale’ rather than having distinct gear steps – very clever and it means you never miss a gear. 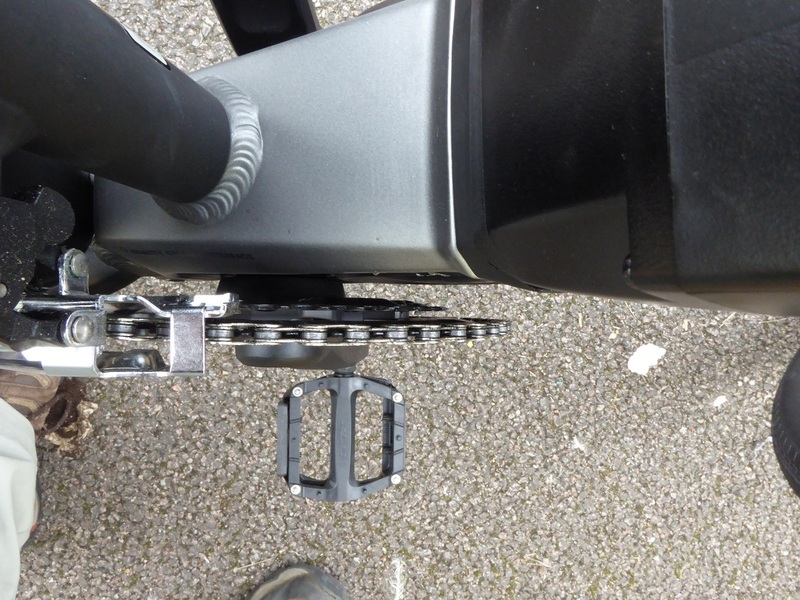 The belt drive allied to the bomb-proof hub gears should make for a very low-maintenance e-bike. 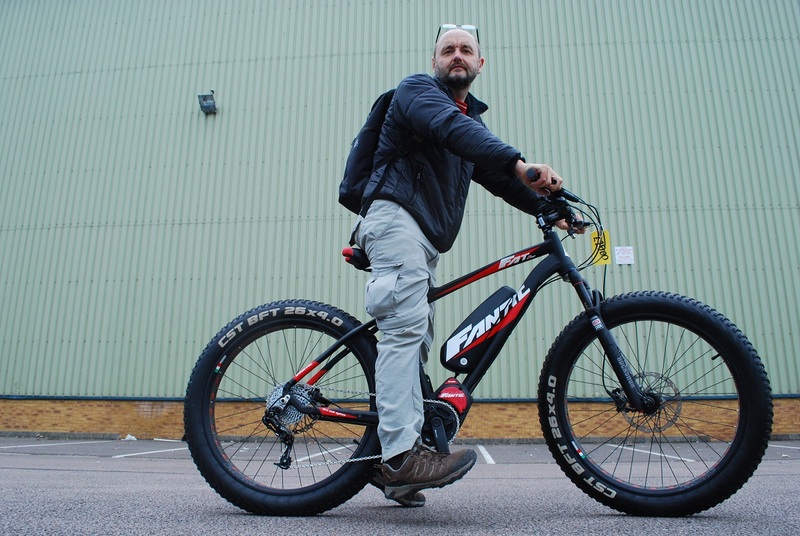 It felt incredibly sure footed, a combination of its incredibly solid frame and the massive Schwalbe Super Moto-X tyres. 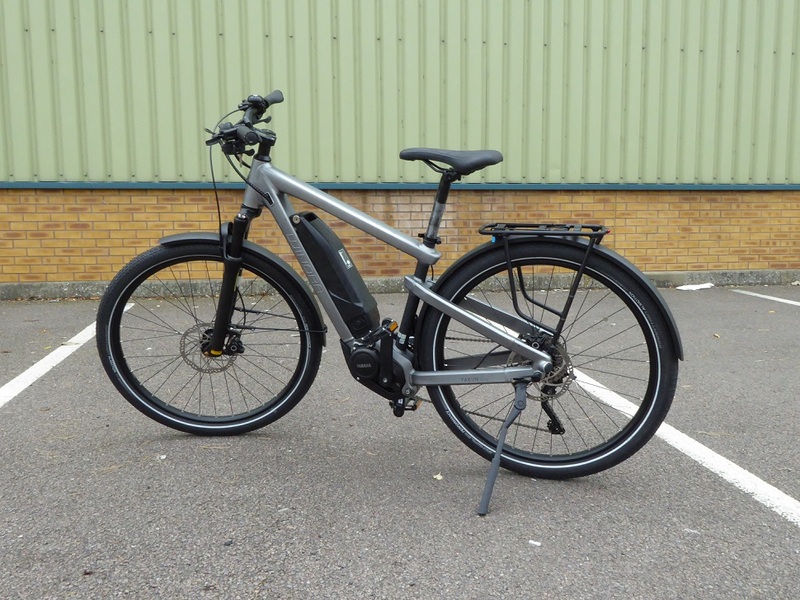 It comes as either a standard 25kmh pedelec motor or as a 45kmh speed pedelec option (registration with the DVLA required for the latter). A great bike for handling badly potholed roads and the vagaries of forest tracks and canal towpaths and the like. This e-MTB from respected US bike company Scott uses a Brose crank drive motor – known as one of the most powerful and quietest crank drives on the market. It has a decent size 508Wh frame-integrated battery. 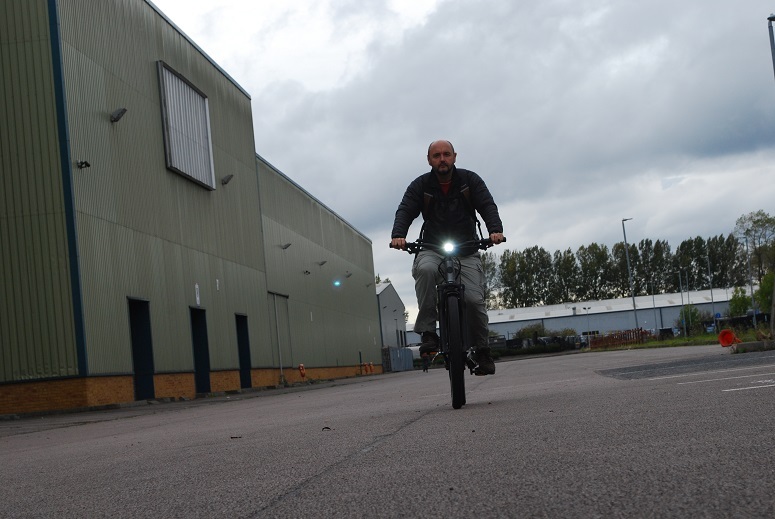 I could only test it on the flat but the motor certainly picked up quickly and the bike felt light and agile. Certainly a contender if you are after a high-performance e-mtb. Fat bikes were everywhere at one time, but though they have receded slightly into the background of late, big big tyres make sense if you do a lot of riding on very loose surfaces. Additionally the motor goes a long way to overcoming the great rolling resistance of these monster 4 inch tyres. This Fantic fat e- bike felt like it would be great fun in the deep mud or on a loose sandy beach. Like the Scott it’s powered by a powerful Brose crank motor.